Swimming for hours each day in the middle of the open ocean gives you a lot of time to think. During July and August this year, I swam the length of the English Channel, a distance of 328 miles. It was the longest swim I have ever done, and it gave me plenty to think about. As I made my way, stroke-by-stroke, from Land’s End to Dover, I thought about what I was swimming over, and what was in front of me. Beneath me I knew there were reefs and cliff shelves and sandy sea beds. I was buoyed by the belief that these waters are full of creatures that I could not see, and a few that I have. But I also knew that I was swimming over a carpet of discarded plastic, accumulated slowly, then ever more rapidly, and without pause, over the past 60 years. As the swim progressed, I became shocked by how little sea life I was witnessing. Apart from an overabundance of jellyfish – a result of climate change and overfishing – we saw a few dolphins, some sea birds, a lone shark, one turtle … and very little else. 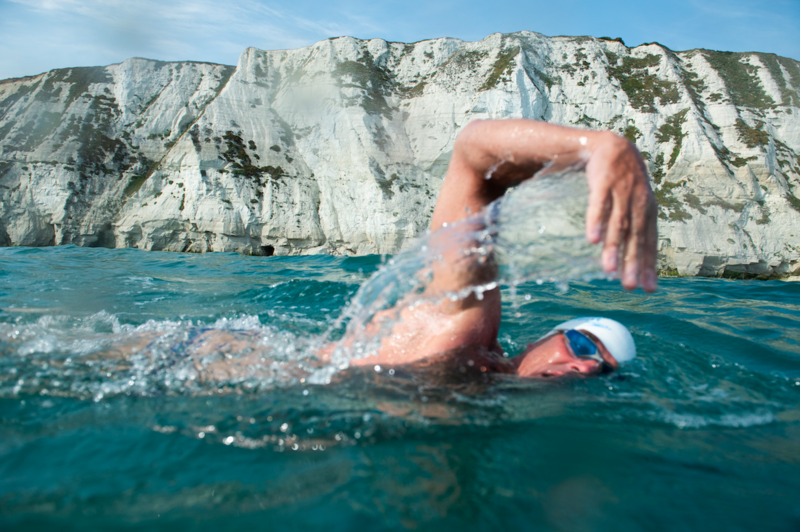 And all the time, the White Cliffs of Dover were in front of me, like a beacon beckoning me to the end of the swim. 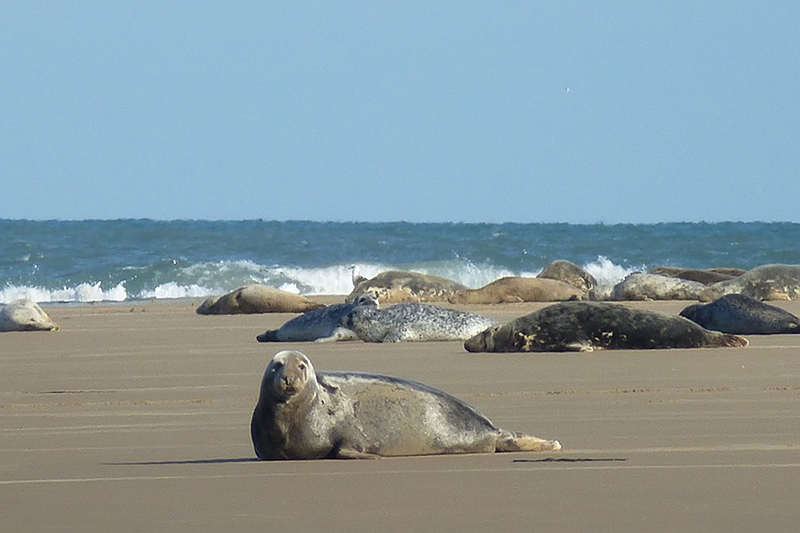 I was mindful that, as we neared Dover, we were also approaching Goodwin Sands, a shifting sandbank that provides a habitat for the grey and common seal, and an abundance of birds, as well as the threatened sand eel, a foundation species for the entire Sands’ ecosystem. The UK Government has earmarked the area as one of the new Marine Conservation Zones. So it beggars belief that there are still plans by the Dover Harbour Board to remove 2.5 million cubic metres of sand and gravel from the Sands for their new harbour development. Understandably, there has been a huge public outcry – and not only because of the area’s precious marine heritage. Goodwin Sands is famous for thousands of historic shipwrecks. 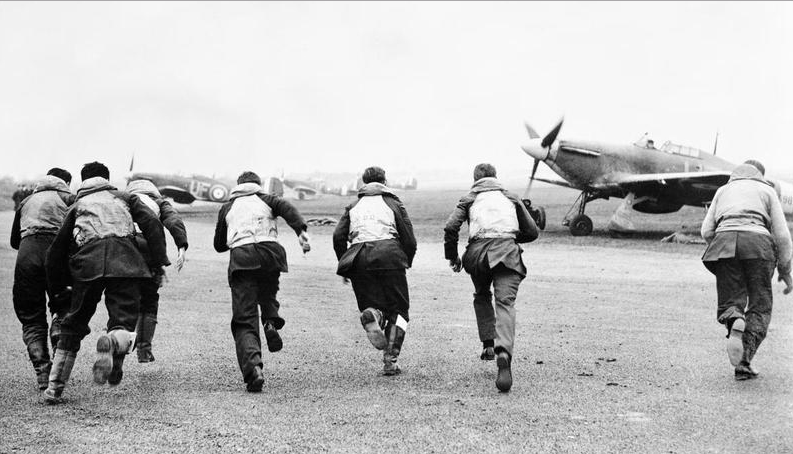 It is also the final resting place for at least 60 warplanes, flown by RAF heroes and their allies who lost their lives during the Battle of Britain. They have lain on the seabed undisturbed for nearly 80 years. To me the idea that a company can dredge the area and use the aggregate for its development, without respect for nature or heritage, is shocking. What type of ‘protection’ allows a company to come along and literally remove part of an iconic landmark? If the plans go ahead they will disturb the war graves and the shipwrecks, and endanger the delicate ocean ecosystem and wildlife. Right now, we have a unique opportunity to simultaneously respect both our historical and our ecological heritage. I urge the UK government to fully protect Goodwin Sands. Swimming my daily sea miles, I often reflect on how the past and the present are connected. When you have this much time to think, doing the right thing becomes a very simple matter. It’s about respect. If we can’t respect our past and our heritage, what hope do we have to protect the marine wildlife that represents our future?